Observed on a floor of a building in Eldoret, Kenya, December 2012. Body length is about 8mm and was not using a web. 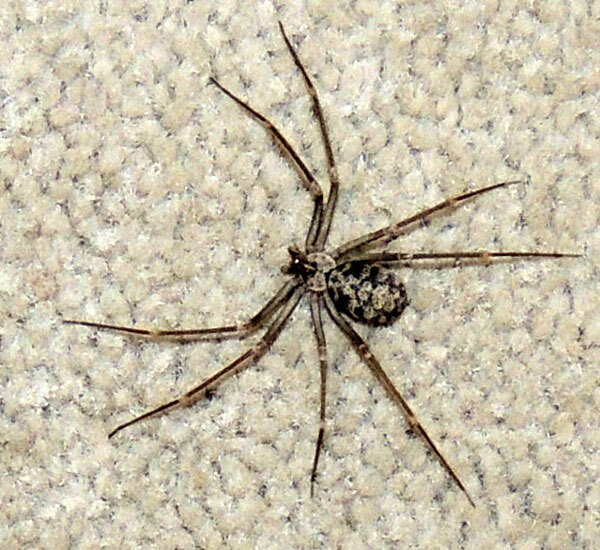 Brown Spiders, Loxosceles, are notorious because some species deliver a bite that continues to necrose and fester weeks or months afterwards. Loxosceles are not usually very aggressive, but because of their preference for dark, cave-like habitats they often enter homes where they can crawl on clothing or surfaces where people are. The toxicity of the species shown is not known. Recluse spiders are recognized by their flat morphology, the violin-like marking on the cephalothorax, and most distinguishing, three pairs of eyes (six total).